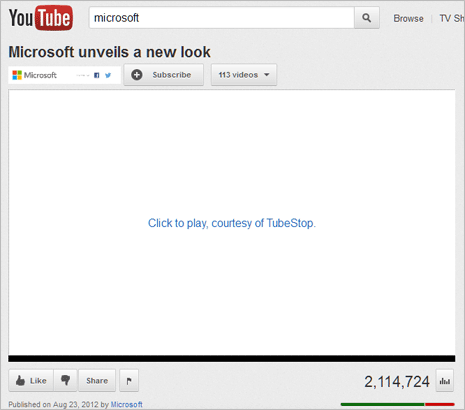 By default, Youtube video will start buffering and play as soon as you open any Youtube video webpage. Few users may like this automatic playback as it eliminates hassle of clicking the Play button. However, users with limited bandwidth internet connection – video autoplay can consume lot of unnecessary amount of data. You can easily solve this problem by disabling automatic playback of Youtube videos. Following methods allows you to stop auto play of Youtube videos in Firefox and Google Chrome browsers. Firefox users can simply install Tube Stop plugin [Not available – addons.mozilla.org/en-US/firefox/addon/tubestop/] to disable and stop auto playback of Youtube videos. Just download and install the plugin – there is nothing further to configure. After install, video player will display “Click to play, courtesy of Tube Stop” message. Clicking on video player will start the video playback else it will not automatically playback (as intended). You can disable auto playback of Youtube videos by modifying playback settings in Google Chrome browser. Following is easy procedure for making settings change. 1. Open Google Chrome browser, click on wrench icon and then click Settings option. 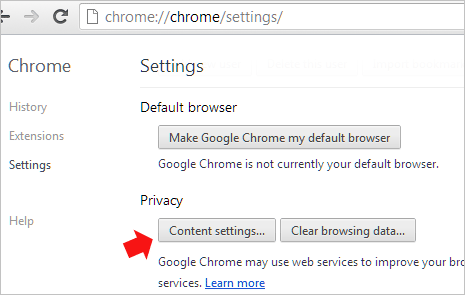 Alternatively, you can directly open chrome://chrome/settings/ in Chrome browser. On Settings page, scroll down to bottom and click “Show Advanced Settings” option. 2. Then click “Content Settings” button under “Privacy” section. 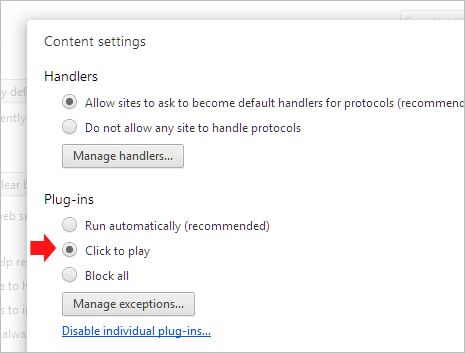 Now in “Content Settings” dialog box look for “Plug-ins” section and select “Click to play” option. Click OK to close the settings window. 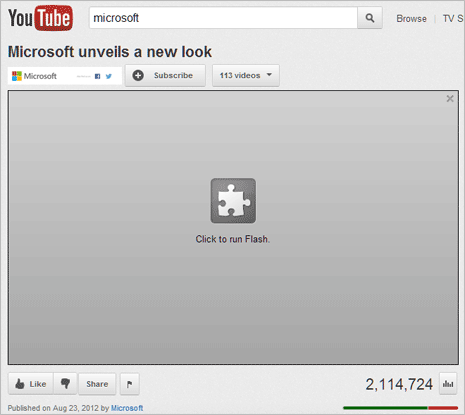 From now on, Youtube videos will not auto playback – infact you will see “Click to run flash” on video player. Clicking video player will start Youtube video playback. If you do not like to play around with Google Chrome setting then you can install Stop AutoPlay for Youtube Chrome extension. This extension stops autoplay of Youtube videos but allows automatic video buffering.